January 1, 2018 December 25, 2017 / Elizabeth T.
Can you believe it’s already the first day of the new year? 2017 really passed by so fast; it seems like it was just yesterday when we were saying goodbye to 2016! I’m so excited for this new year because it’s another opportunity for us to improve and better ourselves! This past year, I really put my own wellbeing on the back-burner, but I’m really hoping that this year, I’ll be able to focus on myself more in order to grow both intellectually and mentally. But before I get ahead of myself, I wanted to talk about some of my favorites from this past month! So without further ado, let’s begin! First up is this lovely little lip balm from Gourmand! I’ve been in love with the minimal packaging of all of Gourmand’s products lately, and this lip balm has been one of my favorites because it’s so hydrating yet fragrant! 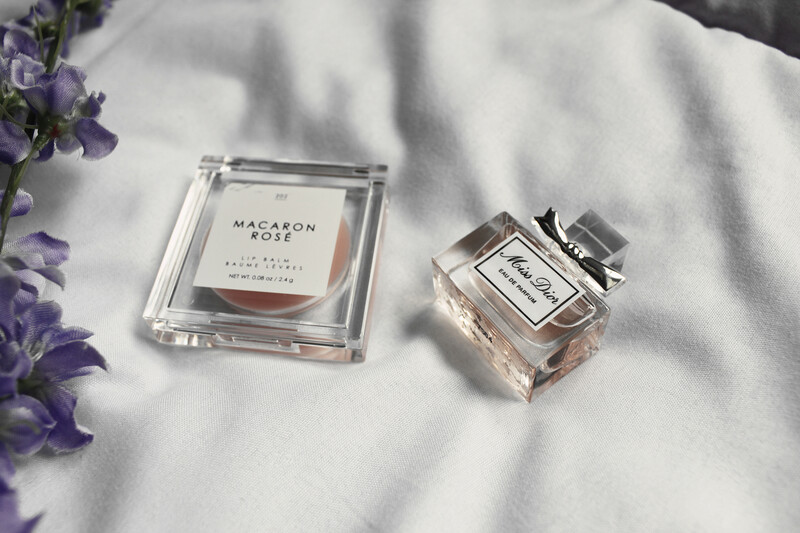 I’ve been obsessed with the macaron rose scent because it’s soft and feminine. Plus, the size of this makes it perfect to just slip in to your purse! 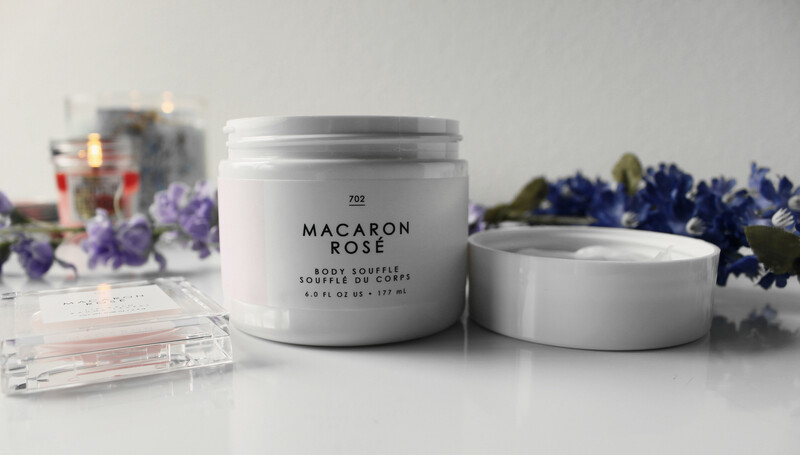 Next up is this body souffle from Gourmand as well, also in the macaron rose scent! I love how this whipped body souffle is lightweight and not too heavy, making it the perfect formula for winter days. While I love a good moisturizing product, some creams that are too rich actually cause my skin to break out, so this non-greasy formula helps to keep me hydrated yet refreshed. Plus, the soft scent lingers throughout the day, so the subtle fragrance leaves you smelling and feeling so pretty and feminine for hours! Continuing my love for all things rose-scented, I also added the Rose Deep Hydration Face Cream from Fresh in to my winter skincare routine. 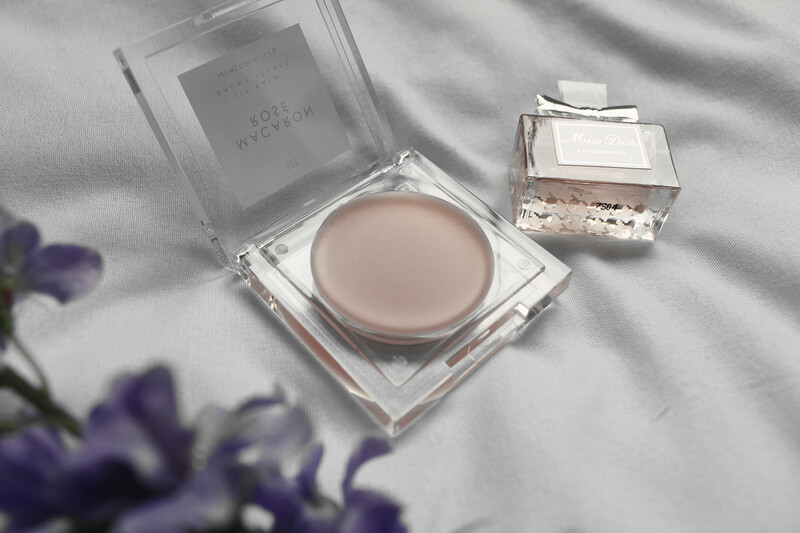 I’ve been loving this lightweight gel-cream infused with soothing rosewater and nourishing rose flower oil that delivers intense 24-hour moisture. Boasting a “time-release technology” that encourages ideal hydration levels by attracting and sealing in moisture throughout the day, this advanced combination of hyaluronic acids helps to increase moisture for deep hydration to support healthy skin elasticity. The combination of rosewater and rose flower oil helps to soothe and nourish the skin. And last but not least is this beautiful warm floral fragrance – Miss Dior! With notes of bergamot, grasse rose, and rosewood, this new floral fragrance has bursts of citrus that melts in to the grasse rose for a very feminine scent that’s warm and enticing! I received this as a sample over the holidays, and I can’t get enough of it! It’s the perfect switch up to my usual Chloe fragrance, as I like to switch things up over the holidays! And that wraps up my favorites from December! What are some of your favorites this past month? And what’re you most excited about for the new year? Let me know in the comments below because I always love hearing from all of you! I also love everything with rose! I use rosewater as my toner and my mist in my skincare routine and I love it! Such a great post! These things sound so good. Always enjoy reading your monthly favorites! Happy New Year! 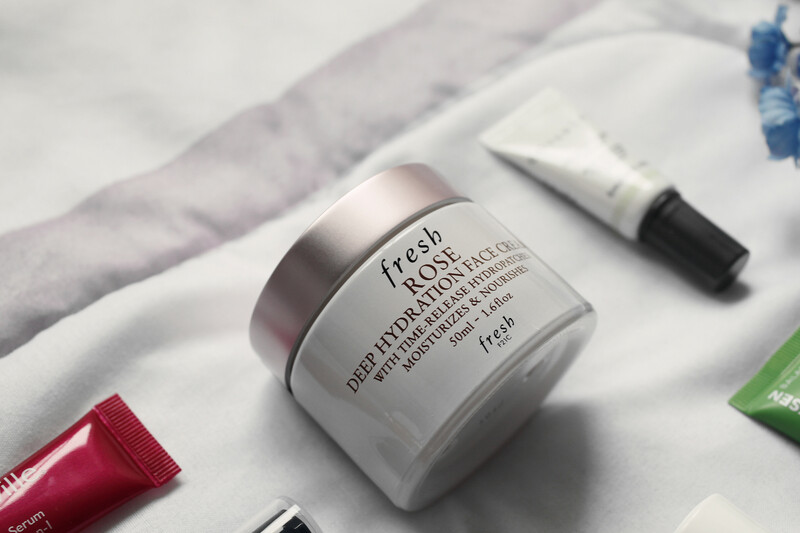 Fresh Rose Deep Hydration Face Cream sounds pretty amazing! I definitely want to give that a try since my skin has been getting drier in the colder months. Thanks for sharing your favorites as always. I love Miss Dior perfume! Looks like great products! But also really great photos! Everything Fresh is sooo good! Esp for winter months. Happy new year beautiful!! These look amazing! Lovely post! Thanks love! ❤ 🙂 Hope you had a great New Years! I’m a Fresh huge lover! I heard about this face cream and I have to try it! Thank you for sharing! Oh, I’ve never heard of Gourmand till now. The packaging is very pretty, indeed! My favorite has to be Aerin’s perfume in Jasmine. Lovely products ! Thanks for sharing ! Haha what coincidence! 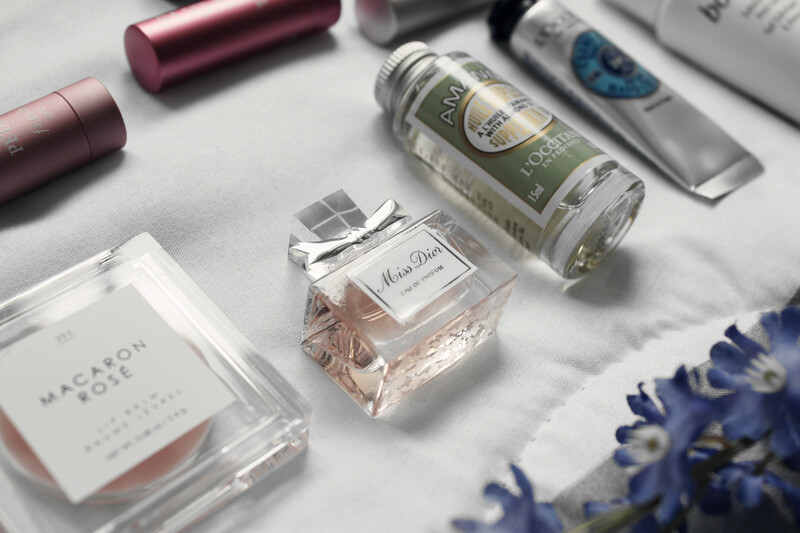 The Miss Dior perfume was in my December favourites too!! It is my most favourite perfume out of my whole collection and it is so long-lasting, I love it.